Truants operates as a non-profit cultural platform and is dedicated to curating the Truancy Volume series, conducting in-depth interviews with both upcoming and established artists, collating exclusive premieres and mixes, sharing releases, and publishing other features that showcase the music its contributors love. 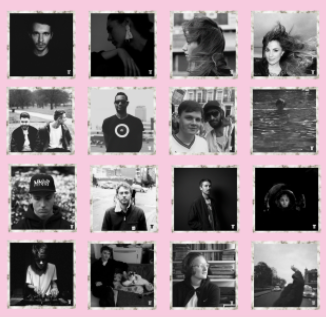 Since its initiation in 2010, Truants grew rapidly and is now home to a global collective that showcases a range of unique voices and perspectives on music, nightlife and other creative fields. The team behind Truants is a tight-knit family of writers and designers, driven by a shared interest in music. Truants’ mission statement is to showcase positivity in music writing and, in an ever-increasing divisive journalistic climate, seeks to make both music journalism and music accessible and inclusive. Running Truants costs money for hosting and secondary services. As we want to keep our content sincere, we’ve always covered these costs ourselves instead of reaching out to sponsors and we need some help with that. Please consider sending us a monthly contribution or a one-time donation towards our monthly costs here.